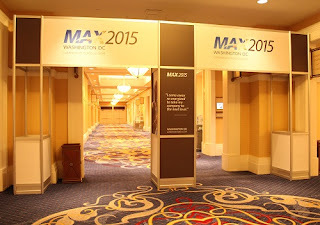 Here's a summary of the blog posts I did reporting on the MAXfocus partner conference - MAX 2015 in Washington DC over the last week. PLUS I recorded a lot of podcast material. So stay tuned for a number of podcasts. Those will be over at SMB Community Podcast - www.smbcommunitypodcast.com. I was quite surprised two years ago when I learned that MAXfocus (then GFI Max) was about to bust through 10,000 partners. That number completely dominates the competition. And at this moment they are busting through 13,000. This growth is phenomenal. But leading in sales is not the same as leading an industry. You lead an industry with forward thinking, a commitment to evolution of the products and services, investment in future-focused technology, and a plan to bring partners along for a profitable ride. MAX lead their industry because they do all these things well. When I started up my new Managed Service business two years ago, I signed up for a 30 day trial of MAXfocus. Since then I've been amazed at the fast evolution of the product. You can clearly see changes that result from market research, partner feedback, and actual analysis of how the tool is being used by partners. The last piece of this is directly tied to MAX's "big data" initiative. I'll blog more about that in a day or two, but it's important to note that MAX has a big data initiative. 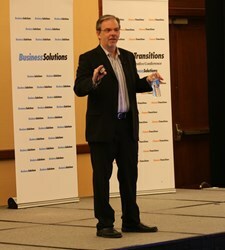 They have a commitment, a clear strategy, and a program that ties data analysis to product development. It's unusual to find a large vendor with a clear commitment to helping partners develop and execute a successful business model for the evolving business environment. It's not unheard of, it's just not all that common. I was lucky to attend the MAX 2015 conference in Australia, so I know a lot about the announcements and initiatives to be made public in the U.S. in the next few days. If you're delivering managed services, I think you'll be impressed with what they've got planned. I love to remind people that the future's going to get here whether you plan for it or not. You can let it happen to you, or you can help shape it as it happens. MAX is definitely helping to crate the future. Their service desk is now a full-fledged PSA. Their RMM tool is as good as any. And their partner program is untouchable - and getting better all the time. If you're not attending MAX 2015, I encourage you to watch as much as you can on video. I think you'll be impressed with what you see. Stay tuned to this blog for reports over the next few days! Microsoft Office 365 remains the fastest-growing solution in the technology field, with what started as an enterprise solution becoming a vital component of the SMB and consumer markets. Undeniably, it’s time to invest in building skills and relationships in the vibrant Office 365 community. Despite its widespread use, Office 365 is the central component in a complex ecosystem of productivity solutions, and requires time and training for true mastery. With training and mastery, though, Office 365 transitions from a popular business solution to a key opportunity for profitability for MSPs and IT pros. THE 2015 Fall Conference, held Oct. 2-4 at Microsoft Redmond in Redmond, Wash., is dedicated to attendees’ technical and business success, focused on best practices and key training provided by renowned industry experts. Attendees will have access to more than 30 hours of content and networking and leave with impactful Office 365 knowledge that can be implemented immediately. SMB Nation and O365 Nation didn’t forget other key parts of the Office 365 ecosystem and Microsoft portfolio—sessions covering Azure and Windows 10 will supplement the Office 365 sessions and experiences. THE Fall Conference 2015 website features information about key speakers and sessions, and offers resources for planning and registration. Visit fall2015.smbnation.com to find out what the buzz is about! Take advantage of special early bird pricing or other exciting discounts, and don’t forget SMB Nation offers a money-back guarantee to all registrants. Whether it’s time to earn a major in migrations or go back to school to learn about Microsoft’s latest innovations—and their impact industrywide—join technology leaders at THE 2015 Fall Conference. Attend THE 2015 Fall Conference! Got a note from Jenny Hallmark over at SMB Nation. Get a great rate on your hotel and join me there! 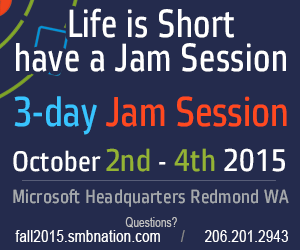 Visit SMB Nation / Office 365 Nation for more info. For info on my big SMB Preday show, visit www.smbpreday.com. Final week for hotel deals! Book now to save $$$. At SMB Nation, we strive to make our conferences and events accessible to the most industry pros possible, which is why we offer our alumni special pricing for registration and also secure additional discounts for your accommodations! If you haven't booked your hotel stay yet, head to http://fall2015.smbnation.com/hotel/ now to get information about special event pricing at the Residence Inn by Marriott and finalize your stay. Our discounted rate of $137 per night will end this Friday, September 4. Join the best jam session of the season after scoring the best deals of the year!